The past few weeks have been quite remarkable for female gymnasts… and I’m including artistic, trampoline and rhythmic in that group! 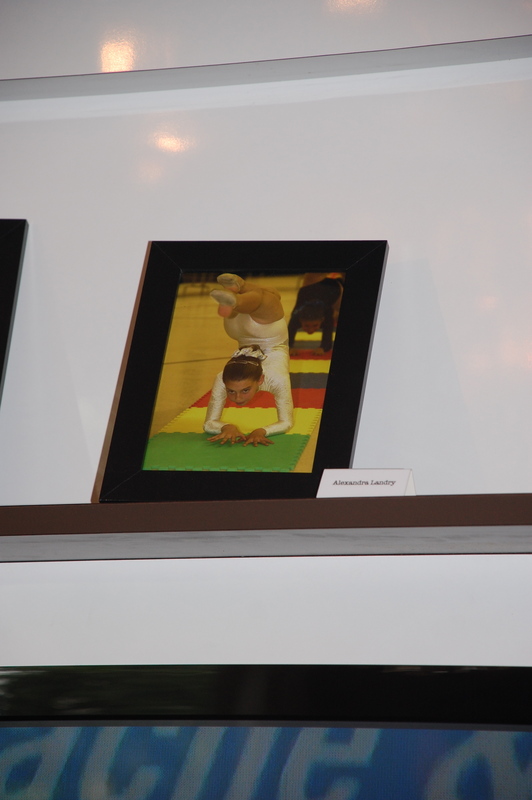 The women on Canada’s artistic team not only qualified a full team to these Games, but then made team finals. AND, if that wasn’t enough they improved on their result through their consistency and strength and finished in 5th position!! Bluewater Gymnastics Club’s (where I’ve choreographed quite frequently) Dominique Pegg qualified to the AA final, and finished in 17th place. AND, Ellie Black and Brittany Rogers made Vault finals. Speaking of that word: MOMENTUM. I’m really hoping that our Canadian Rhythmic Team can keep this good swing going! The girls have it, or so it seems. Just arriving from their European training base in Marbella, the Rhythmic team has settled into the village and begin their training today. I am excited to go & watch them tomorrow and Wednesday before their competition begins on August 9th. Ps. 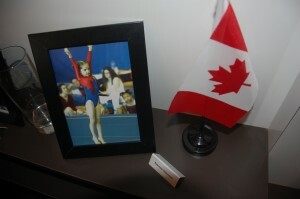 When I was at Canada Olympic House guess who I found?! Pretty awesome… I think later on I also saw Rose Cossar but sadly I don’t have a pic – sorry Rosie!!! Bed time. Early rise for practice tomorrow – can’t wait to see the girls in action! This entry was posted in Olympics, Rhythmic Gymnastics and tagged Athletes, Broadcast, CTV, London 2012, Olympics, Rhythmic Gymnastics by erika. Bookmark the permalink.